Is a substance naturally produced in small amounts in the brain and also found in anchovies and sardines. DMAE supplements are promoted to boost brainpower, improve memory, and slow aging. 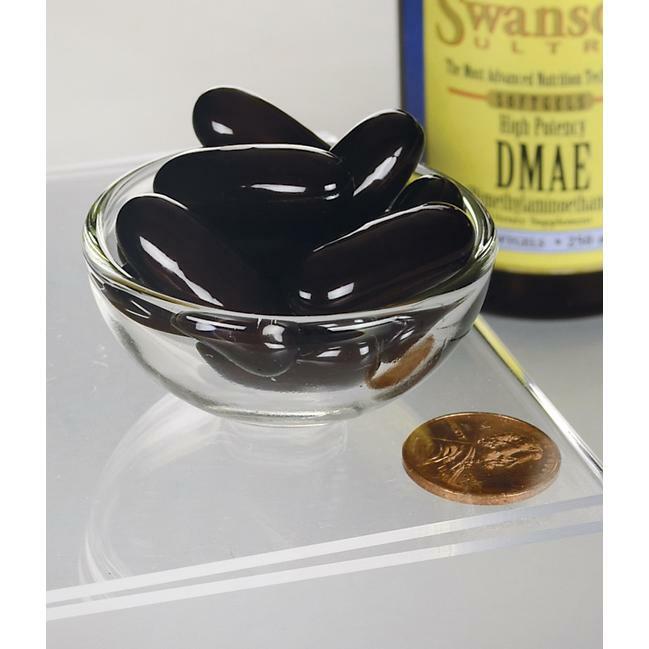 DMAE is a compound that is known as a mind health compound. It does this by reducing buildup of what is known as the ‘age pigment’, which impairs cognitive function and is implicated in the cognitive decline with age. It can also increase levels of the compound involved with memory, acetylcholine. It can also protect neurons and other cells from harmful effects of certain types of oxidation by embedding itself in the structure of the cell and acting as an anti-oxidant, as well as sustaining metabolic processes in the body through a process known as ‘methyl donation’. Other ingredients: Soybean oil, gelatin, glycerin, yellow beeswax, lecithin (from soy), deionized water, carob.